Protect your cat from worms with Drontal tablets. Controls: Roundworm, Hookworm and Tapeworm (including the Common Flea Tapeworm). 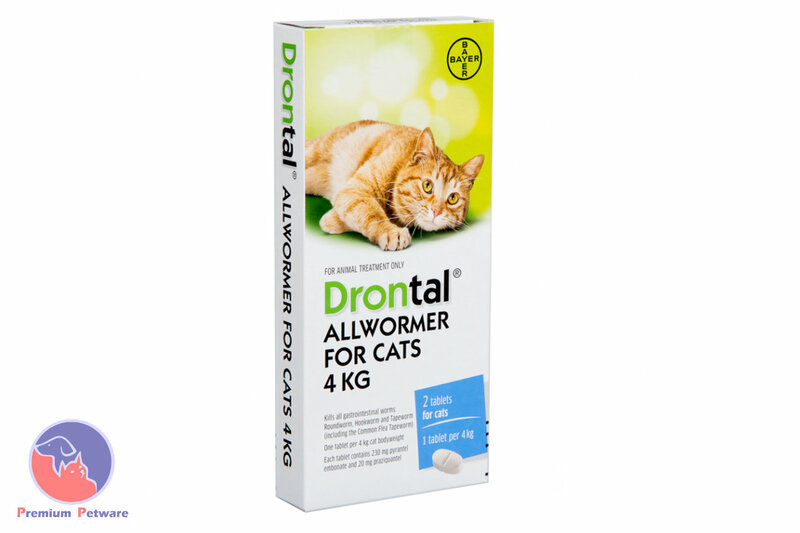 Cats should be wormed every 3 months.